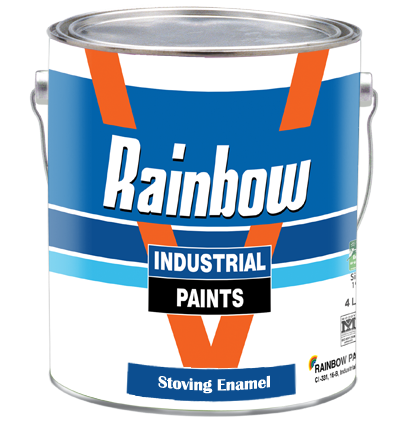 Rainbow stoving enamel is general purpose stoving paint suitable for industrial use on steel surface. Composition: Based on alkyd amino resin. This is single pack product. Covering Capacity: 10-12 Sq. Meter / Ltrs. Shelf life: 6 Months if Kept in sealed container at room temperature. Surface preparation: Phosphating for better corrosion resistance is required.